Treadmill motor horsepower is the single most recognizable treadmill specification. But what exactly does the horse power rating mean? We tend to believe that bigger is better, but is it really? We reached out to our international team to find out what these figures really mean. “Treadmill duty” and “Peak duty” have been used in the past to raise the treadmill motor rating number (remember the whole “bigger is better” notion), but this can be extremely misleading to the consumer. What exactly does peak – and treadmill duty mean? Treadmill Duty – somewhere in between peak and continuous. Treadmill duty measures the likely horsepower for an average consumer at an average speed over an average period of time. But because it is an average, it is not always a true representation of power. 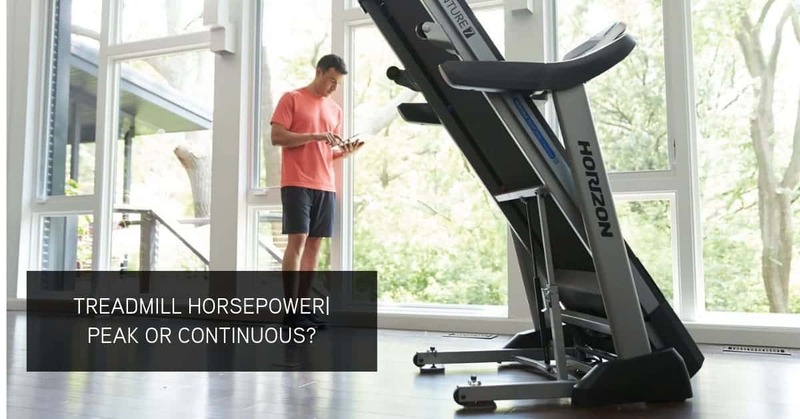 Look for Continuous Duty horsepower, as this measures the minimum horsepower delivered at all points during a workout. This is also the commercial grade standard applied to all treadmills used in health club facilities and higher-quality home treadmills. Continuous duty motors are the highest quality available. They are more powerful, durable, and deliver a smooth performance. When shopping for a home treadmill online or in store, a minimum of 2 CHP is recommended. A 2 CHP Motor with an RPM rating below 4000 should suit the needs of 90 percent of home users. Keep in mind that there are other factors that are important when it comes to treadmill motors. A strong motor should be surrounded with up to date quality components. If this is done correctly, the load is spread across the integral parts of the treadmill and the motor does not have to do all the work. In essence, you should be more concerned with how well all the parts work together. And make sure that the treadmill was manufactured by a quality gym equipment manufacturer that has a good reputation. User weight and other factors also play a part, so be careful not to fall into the “bigger is better” horsepower trap.